Understanding your customers is the key to any successful company. Market research is the answer to obtaining the data your company needs to make more informed business decisions. Imyst is changing the market research field into a more efficient and cost-effective means of maximizing your company’s productivity and profitability. We welcome you to visit our prospective client section if you are interested in using Imyst for your market research. If you are interested in learning more about imyst’s services and capabilities, please select market research information. 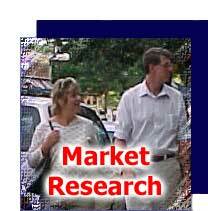 To view and submit current market research surveys visit the customer survey section. login | contact us | privacy & security | disclaimer | site map ©1999-2016 Imyst, Inc.